I don't know what these are made of. 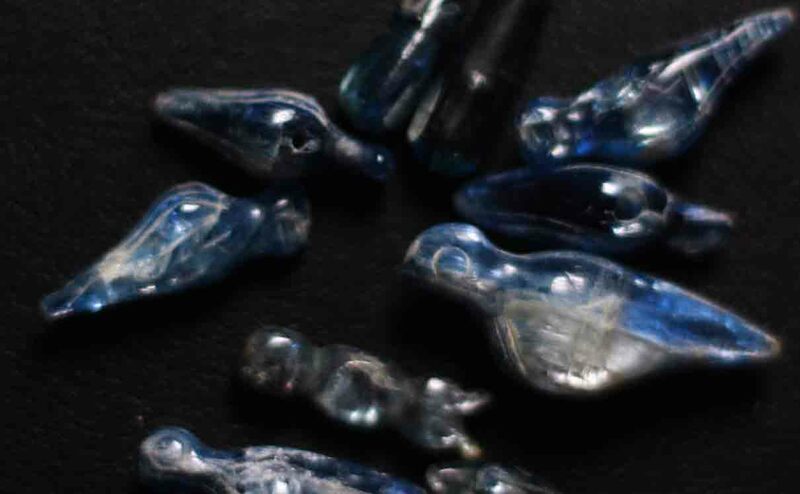 They are very blue and look like blue mica or something like that. Very well worn as well. 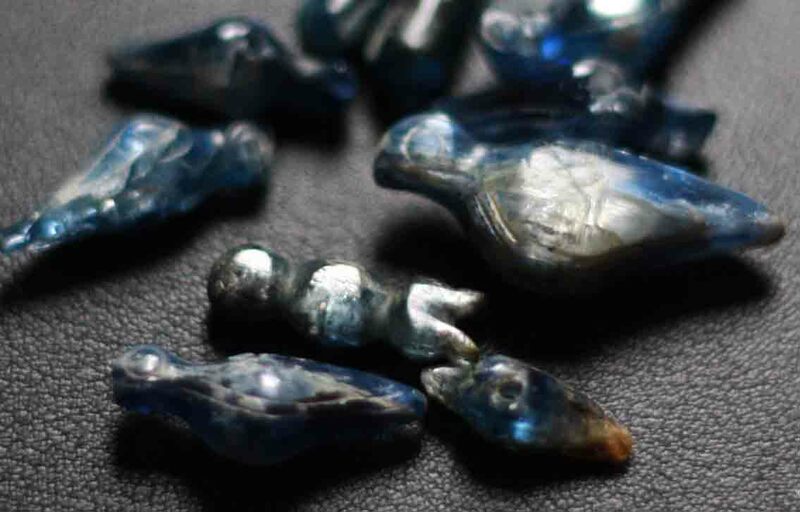 Has anyone seen other beads like these >> how old and what are they made of ?? ?